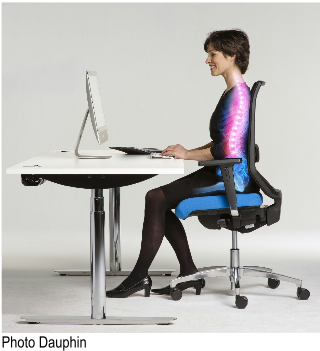 the Dauphin HumanDesign Group is expanding its Ergonomics Consultancy division. The prevention of back problems is increasingly becoming the focus of attention as part of progressive company health management. As a provider of complete office solutions, the Dauphin HumanDesign Group (DHDG) is expanding its range of professional ergonomics consultancy services for the workplace. Numerous employers are realising that workstations geared to employees’ physical needs play a key role in preventing the back problems prevalent in today’s society and the resulting staff absences. There is therefore a growing need within companies for competent support when it comes to creating health-promoting working environments. In response, the Dauphin HumanDesign Group is expanding its Ergonomics Consultancy division. 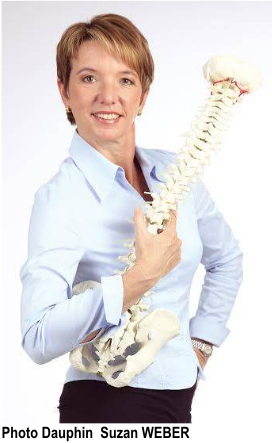 The qualified physiotherapist and certified ergonomics consultant Susanne Weber is responsible for the DHDG’s expanded range of services based on an integrated and structured consultancy approach. The aim of this approach is to achieve an ideal relationship between the working person, their work equipment and their duties. “Professional workplace consultancy services help companies to maintain the well-being and performance of their employees. In light of demographic changes and the lack of specialist staff in many areas, this is becoming increasingly important as it allows companies to show responsibility for employees while presenting themselves as attractive employers,” said Susanne Weber. The manufacturer-independent, product-neutral range of consultancy services is based on a five-point programme whose modules can also be used individually if required. In most cases, an initial analysis is first carried out on site. During the analysis, the consultants rate selected workstations – as they are – using an innovative software solution. Visualising and documenting the workplace provides an opportunity for an expert assessment of the office working conditions. The analysis can be complemented by an employee survey too. On this basis, the consultants come up with a plan for improving the ergonomics of the workstations. The DHDG assists on a practical level by providing tailored workplace consultancy services. The portfolio ranges from briefings in small groups to the optimisation of mock-up workstations to make employees more aware of how to use the equipment provided in a safe and healthy manner. 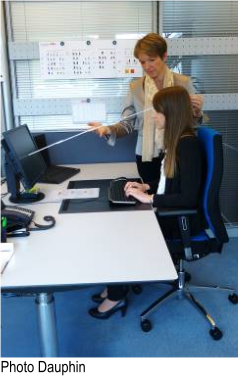 Intensive training helps to ensure that people actually apply their knowledge of ergonomics in their day-to-day work. As part of this training, the DHDG organises workshops and workplace tours during which the individual setting options for each user’s chair, desk and technical equipment are documented.